Did you……. What’s in your spiritual toolbox? Rev.Martin Luther King Jr. Day… Is the dream dead? Psalms 106:3 Blessed are they who maintain justice, who constantly do what is right. No!… His dream will never die because when you have your hope in Jesus Christ for everything in your life and the lives of others… there is always hope…you can dream! I believe Martin Luther King Jr. did so much for equal rights for all people. He did what God wanted him to do in his lifetime and he did it well…and I’m so thankful for all he accomplished. My prayer is for all people to keep in their hearts and mind all the work that he did and that we will continue to build and expand on it. The MLK’s legacy is real and we are blessed to be able to celebrate this special day as a holiday and to have been able to share his legacy with our children who will share it with their children and down through all generations. The dream will live on. 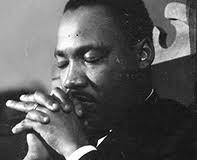 I too have a dream…..
My dream is for everyone to love the Lord Jesus Christ. I pray this…dream…hope…vision…everyday single day!!! I feel that if we have a world that loves Jesus… that this will take care of MLK’s dream and any other dreams for betterment mankind because if we following the true principles of the bible especially 1 Corinthians 13:4 Love is patient, love is kind… will naturally treat each other with love and respect. We will treat our neighbors as ourselves (John 13: 34 ). The world will be a better place. I pray that the Spirit of God would so move in the hearts of man and that God would be glorified in the lives of His creations. I intend to pray for as many people as I can before I go. As long as we have hope for anything and as long as we know who has the power to bring about these changes we will be blessed. In reading Martin Luther King Junior’s Story in a book his wife wrote about their lives…I got a whole different view of the man than the media has portrayed. We all knew he was a minister but in Coretta’s Kings book she spoke more of his spiritual side. She said one day when things had gotten so dangerous and difficult that Martin went in a room to pray and when he came out he was a different man. You can tell from one of his last few speeches that he said he’s been to the mountain top and he’s seen the promise land…and he may not get there with us…but we will get there. I believe that God spoke to him and encouraged and strengthened him. He was brave and faithful to the end. I will continue to pray about my dream of everyone loving Jesus Christ. Like Martin…I too have been to the mountain…and I’ve seen in visions some of the biblical things God has promised those whose names are written in the Lambs book of life. In reading God’s word the Holy Spirit has confirmed God’s living word in my heart and mind. 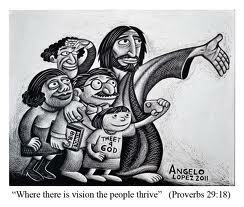 I know God has great things ahead for His children and I want for all people to get to the promised mansions. God has also promised us an abundant life while we are here on earth. If you’re reading this and you don’t know about Jesus Christ and what He has done for all…please email me in the side bar. 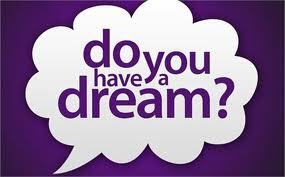 For all others would you take a minute and share your dream or vision. God bless you all and have a happy MLK Day! 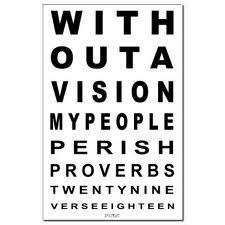 Message for today: Without a vision…people perish.